Krishna Regency which is located very near to Guruvayur temple and offers the best quality services to its customers with affordable rates. Every tourist enjoys both St. Thomas Catholic church and Guruvayur Temple during his stay in this hotel. Each hotel Room has excellent interior decoration and wooden paneling. There is a network of professional workers who maintain a safe stay and enjoyable for every tourist. 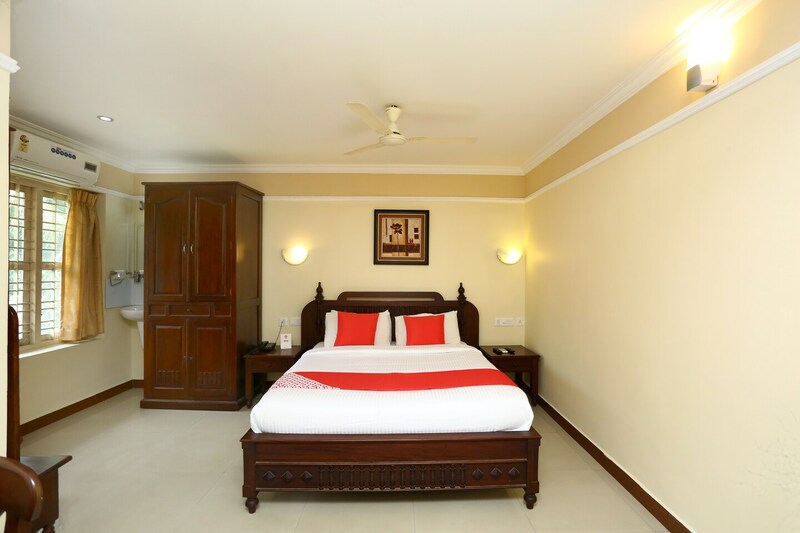 There are a number of beautiful amenities such as free Wi-Fi, TV, laundry facility, round-the-clock security, mini fridge, first-aid facility and power back up which are included in this hotel. There are various Restaurants like Anjali, Oottupura Pure Veg Restaurant, Kanishka Restaurant, Govind Royal, Rama Krishna Restaurant and Saravana Restaurant which are enjoyed by every tourist nearby.